“Optimal Lipid Management for Primary Care Practitioners: An Update on PCSK9 Inhibitors: A Medical Crossfire® Activity” is designed to update primary care providers and other health care professionals on the evolving landscape of lipid-lowering therapy. 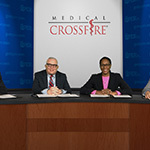 During this Medical Crossfire®, expert faculty, including a lipidologist, cardiologist, primary care physician, and allied health care professional, will engage in a multidisciplinary roundtable discussion to discuss how to best optimize and individualize hypercholesterolemia management with newer therapies. This CME activity is primarily intended for community clinicians, primary care clinicians, and cardiologists, as well as other professionals who treat patients with hyperlipidemia. These HCPs are in positions to educate patients and guide treatment decisions. Describe the latest guidelines and recommendations on cholesterol management from major clinical organizations. Discuss potential cholesterol-lowering therapies beyond statins and explain when these nonstatin therapies should be considered. Summarize in detail the indications for proprotein convertase subtilisin kexin type 9 inhibitor (PCSK9i) therapy. Disclosure: has no financial information to disclose. The online continuing medical education activity Optimal Lipid Management for Primary Care Practitioners: An Update on PCSK9 Inhibitors provides primary care physicians, physician assistants, nurse practitioners, nurses, and other clinicians who treat patients with hyperlipidemia, direction on how to optimize lipid management of those patients with proprotein convertase subtilisin/kexin type 9 (PCSK9) inhibitors and other non-statins. A multidisciplinary panel answered key questions, supported by the presentation of clinical science, about lipid management. This first of 3 PER Pulse™ Recaps focuses on current lipid guidelines and recommendations. With the decline of smoking, dyslipidemia has become the No. 1 modifiable risk factor for cardiovascular diseases. More than 100 million adults in the United States have total cholesterol levels greater than 200 mg/dL, and almost 31 million adults have levels that are greater than 240 mg/dL. For the management of dyslipidemia, the current guidelines primarily recommend a change in lifestyle, then the use of statins followed by non-statin therapies. There are, however, slight differences among them in terms of defining risk. This poses clinical challenges for patients who were goal oriented. Nearly half of all adults are eligible for statin therapy based on the 2013 AHA guidelines. Contains an extreme risk category: Patients with progressive cardiovascular disease should have an LDL level of less than 55 mg/dL. The panel discussed the benefits of adding ezetimibe to a statin in patients who are uncontrolled just on a statin, noting they can often get a 50% reduction in LDL-C with both. A multidisciplinary panel answered key questions, supported by the presentation of clinical science, about lipid management. This second of 3 PER Pulse™ Recaps focuses on PCSK9 inhibitors. The PCSK9 inhibitors are monoclonal antibodies to PCSK9, a protein that attaches to the low-density lipoprotein (LDL) receptor and targets it for destruction. Inhibiting PCSK9 with these compounds reduces LDL receptor destruction and, thus, circulating LDL cholesterol (LDL-C) levels. Their development, said panelist Seth Martin, MD, “is a really inspiring story,” with the compounds moving from the bench to the bedside in a decade. “This was a fantastic triumph and the story of science filling a true gap in care for patients who haven’t been able to get their lipids controlled with existing therapies,” he said. International study that randomized 27,000 participants with stable cardiovascular disease and an LDL-C level of 70 mg/dL or higher to 140 mg evolocumab subcutaneously every 2 weeks or placebo. Patients remained on background statin therapy. Participant LDL-C levels fell from an average of 90 mg/dL to 30 mg/dL, which translated to a 15% relative risk reduction in the combined cardiovascular endpoint over 2 years. There were no significant adverse effects, including neurocognitive issues such as dizziness, in participants who reached a very low LDL-C level. Patients continued statin therapy and were randomized to either subcutaneous injections of alirocumab 75 mg every 2 weeks or placebo. Alirocumab could be uptitrated to 150 mg every 2 weeks in patients with an LDL-C level of 50 mg/dL or higher, while those with LCL-C levels consistently below 15 mg/dL were switched to placebo. After a median follow-up of 2.8 years, there was a 15% relative risk reduction and a 1.6% absolute risk reduction in cardiovascular events. One interesting finding, said Dr Martin, was that the study suggested that patients with a baseline LDL level less than 100 mg/dL did not receive a benefit from alirocumab. The panelists discussed the fact that African Americans were underrepresented in both trials and what that meant for their African American patients. They agreed that there was no indication that the drugs would work differently in this population. They also noted that the lipid-lowering effect is nearly immediate and that there are no significant adverse effects with either drug. Panelists also discussed the equivalence of the 2 drugs and the fact that the choice of which one to use will likely be driven by “practical matters” like insurance coverage. A multidisciplinary panel answered key questions, supported by the presentation of clinical science, about hyperlipidemia. This third of 3 PER Pulse™ Recaps focuses on overcoming barriers to payer approval. The published price for the drugs is about $14,000 a year; however, this does not reflect discounts and rebates. Experts suggested the actual cost is likely between $5000 and $9000 a year. Patients are facing co-pays up to $1000 a month or more. This is mitigated with co-payment coupons from the manufacturers for those with commercial insurance, but they are not available for patients covered by Medicare or other federal insurance programs. The manufacturers also offer patient assistance programs based on income. Access varies depending on the patient and insurer. It may take hours or months for approval, with about 80% of requests denied. With multiple appeals, however, the panelists said they are usually successful in gaining approval. Panelists stressed the need to be honest with patients about access and cost issues but that they should try to get access first before dealing with the cost issue. Most analyses using the list price for the drugs do not find them cost-effective. However, at least 1 analysis found they could be cost-effective over time when discounted. The major medical organizations, including the American College of Cardiology, are developing their own cost analyses. 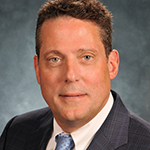 “I’m hopeful that at some point we will get to a real number where we can analyze the benefits and look at the total cost to society,” said Dr. Louis Kuritzky. The panel agreed that it is best for the primary care physician to refer patients to specialists because they have the resources and systems in place to improve the likelihood of approval. They also noted that some patients referred for PCSK9 inhibitors have not had their statin therapies maximized. Primary care clinicians can locate a lipid specialist by zip code at www.lipid.org.